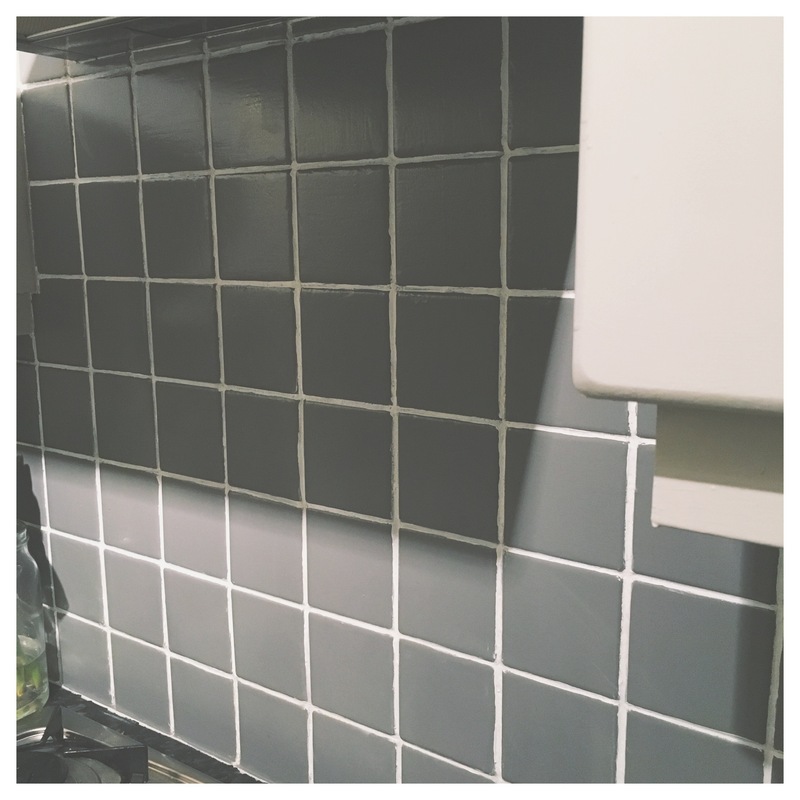 Hiya, I hoped you liked reading and having a nosey on my last kitchen transformation post and seeing how much painting the cupboards has changed how it looks! Anyway, I mentioned that my next job was to sort the tiles out… Well, I have now and I can’t wait to show you!! I’ll explain the process under the photos as I’m sure you’d all like to see those first! So here’s what it looked like before: the wonderful colourful menagerie of tiles… some of you actually said you liked them but I’ve just hated them since we looked round the place and I knew something had to be done haha… And here’s what it looks like now :D I honestly couldn’t be any more chuffed with it and it’s totally changed what the kitchen looks like and I’m in love. Here’s what the tiles looked like before; as you can see some of the paint had gone over the grout due to uneven tiles! This is after I’d hand painted the grout myself using a tiny paintbrush! *Gone crazy* It took absolutely ages but I think it looks good overall and I’m pleased its finished! 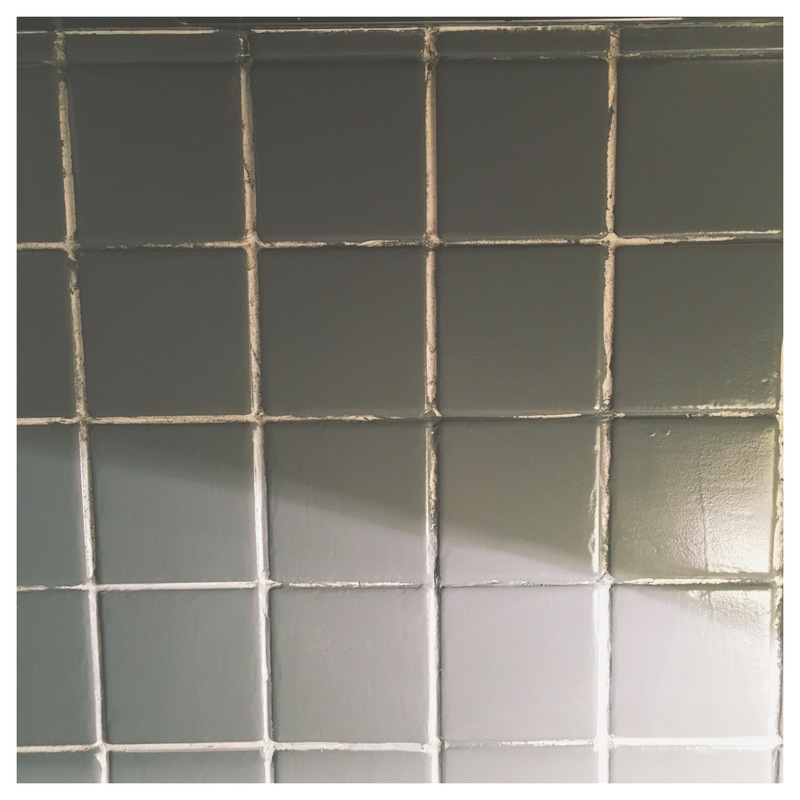 What tile paint did you use? I used the Ronseal One Coat Tile Paint in Granite – I originally thought this was quite expensive (not in the grand scheme of things compared to a new kitchen) but I thought it was pricey for only 750ml and I thought I’d definitely need at least 2 cans. Was it tricky to use? This paint totally surprised me as soon as I used it; late one evening after putting Jax to bed I decided to see what it was like and just paint above the hob – as soon as I started I realised how quick it went on and actually finished my whole kitchen (+ the cutting in bits with a paintbrush) in about 45 minutes! It’s so so oily and the tiniest bit goes for miles! It also does exactly what it says on the tin – I only needed one coat and I have half the tin left! Can I wash the tiles after? Totally, its a specialist paint so its made to withstand all sorts of cleaning products. 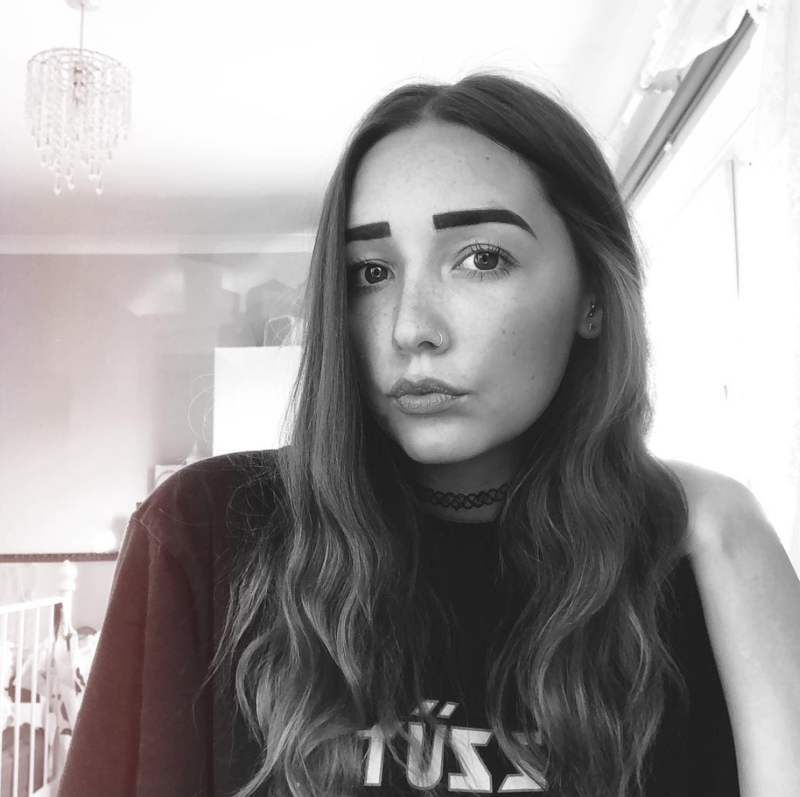 Should I use a paintbrush or a roller? I’d say use a gloss/foam roller for this one – I think you’d get a much more even finish that if you used a brush. I only used a brush for the tiny areas like going round plug sockets and cupboards. Buy A LOT of white spirit – I got the low odour one and used the whole lot cleaning up – I’m not sure why but its so much harder to clean and get off than normal paint so literally wear your shittiest clothes! I wouldn’t actually bother with frog-taping around the plug sockets etc etc – I took it off in the end and just carefully painted round with a paintbrush!